Relax and spend a day in the mindful experience of learning the traditional skills of Bodgers (skilled woodworkers who used green timber) under the guidance of master craftsman Tommy Kelly from Bevel Furniture / Bevel Woodworking School. 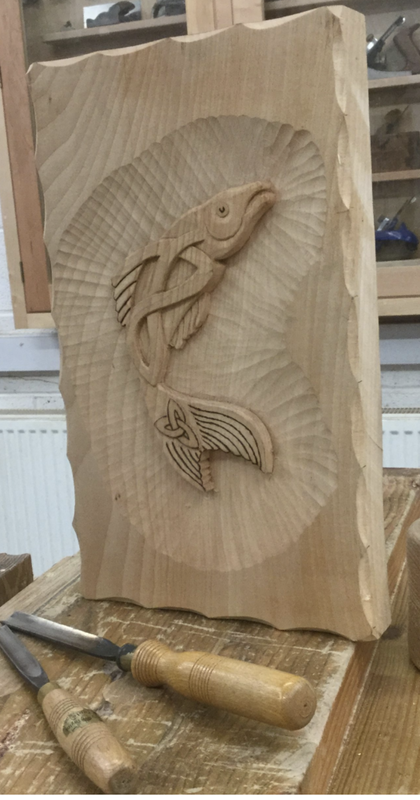 With over 35 years of experience in crafting wood Tommy will guide you through making your very own wood carving. This one-day course is perfect for complete beginners. Wood carving is a skill which requires practice and lots of people choose to repeat the day as there are many different carving options. 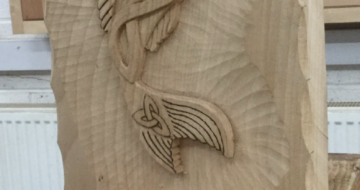 You will learn various techniques while creating a two-dimensional Celtic piece in lime wood.